Victoria or Rabat t’Għawdex – what’s in a name? This Sunday, the Victoria local council celebrates Jum il-Belt Victoria. On this day 131 years ago, in 1887, Governor of Malta Sir John Lintorn-Simmons published a notice in the Government Gazette announcing Queen Victoria’s decision to agree to a petition submitted to her on March 19 of that same year by Bishop of Gozo Mgr Pietro Pace and Chief Justice of Malta Sir Adrian Dingli and signed by 68 of the most affluent and distinguished Gozitans of the time. Thus, contrary to the impression some may have, it was not Queen Victoria of her own accord who decided to grant Rabat her name to mark the 50th anniversary since her accession to the throne on June 20, 1837. The Gozitans themselves had ‘supplicated’ her to honour them by accepting to rename the new city after her. 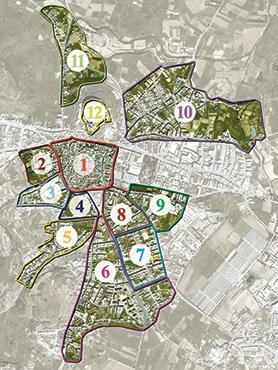 Mgr Pace first had the idea of asking the monarch to elevate Rabat and the surrounding neighbourhoods to city status. He enjoyed the full support of Sir Adrian Dingli, one of Malta’s most important legislators at the time. The son of well-known Gozitan lawyer Sir Paolo Dingli and Marianna Xuereb, Sir Adrian was Chief Justice and president of the Court of Appeal, and had previously been elected to represent Gozo in the Council of Government. Most towns and villages in the UK and other countries under British rule at that time that boasted a cathedral and a bishop had been awarded the status of a city. The Ċittadella had been considered as the city of Gozo since at least the Roman period. Gozo had been a separate diocese from Malta since 1864 and as the Ċittadella had its own cathedral, it could justifiably also lay claim to city status. However, Gozitan photographer Daniel Cilia, who is working on a book about the archives of Malta, points out that by the time Mgr Pace was appointed bishop in 1877, few people actually lived in the Ċittadella, with most living in Rabat and the surrounding neighbourhoods. “So our forefathers had perfectly valid reasons when they decided to group together Rabat and its surrounding neighbourhoods into one city called Victoria,” says Cilia. The commemorative marble plaque that used to form part of the fountain. In 1887, all Gozitans must have felt proud to finally officially have an actual city. And it was quite an honour that the Queen and Empress had agreed to give her name to their city. Later that same year the many small houses that were cluttered in front of the Gozo Cathedral were cleared to create Citadel Square, and to commemorate the city’s new name and other positive developments for Gozo at the time, a dolphin fountain with a Latin marble inscription was erected in the square. The fountain was destroyed in 1956 when the Ċittadella bastion wall was breached to open a huge stone arch to allow the passage of the statue of the Blessed Virgin Mary to enter the Gozo Cathedral. Nowadays, many Gozitans and Maltese alike, young and old, still refer to the city of Gozo by its old name of Rabat. Many people, especially children from Victoria, even mistakenly think the VR on the Victoria coat of arms used by the local council, means V for Victoria and R for Rabat, while in reality it means Victoria Regina (Queen Victoria). And just to complicate matters, the local authorities in the recent past decided that the name ‘Victoria’ was to be used when Gozo’s city is referred to in English, while the term ‘Ir-Rabat, Għawdex’, was to be used in Maltese. In fact, the ID cards of residents of the city tell them that they are all from “Rabat, Għawdex”. The statue of Queen Victoria erected in 1891 in Republic Square, Valletta. 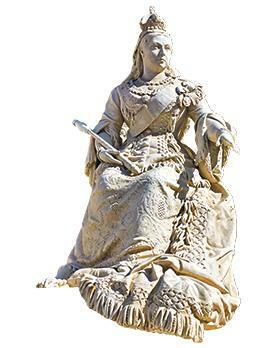 Some Gozitans suggest that the statue, the work of Sicilian sculptor Giuseppe Valenti, should be transferred to Victoria or that a new statue commemorating her should be erected in her Gozitan namesake. However, Cilia says this decision is ill-informed and historically erroneous as it flies in the face of the findings of research on the history of Gozo’s capital city and the historical use of these terms. Cilia explains that ‘Rabat’ is historically located within what were most probably Roman walls standing along between the following streets: Triq Taħt Putirjal (Porta Reale – main gate), stretching on to Triq Vajringa (Via Ringa – ring road), proceeding to Fuq it-Tomba (the cemetery tombs outside the living area inside the walls, where the oratory of Don Bosco now stands), to Triq id-Dawwara (the round road – since here the wall curved towards the Ċittadella). 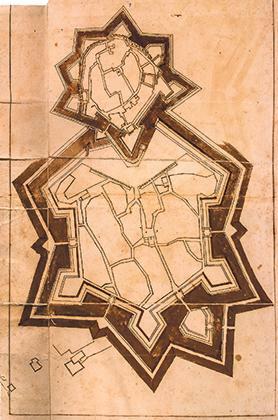 For a time in 1679, the Order of St John had considered closing off the area of ‘Rabat’ within formidable bastions and walls by implementing a design prepared by the Italian military engineer Antonio-Maurizio Valperga. However, the plan was not implemented. The Victoria neighbourhoods or ‘contrade’. 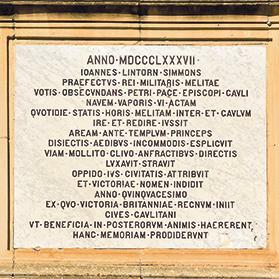 He adds that besides the old city in the Ċittadella, Victoria was and still includes 11 neighbourhoods or ‘contrade’ (see plan): 1. Rabat, 2. Tad-Dawwara, 3. Sancti Augustini, 4. Bieb il-Għajn, 5. Għajn il-Kbira (now the separate local council of Fontana), 6. Tan-Nigret, 7. Taċ-Ċawla, 8. Ta’ Wara San Franġisk, 9. Għajn Qatet, 10. Il-Belliegħa, 11. Wied Sara, and 12. Terra (the Ċittadella). “We call different areas of Victoria by their old names,” says Cilia. 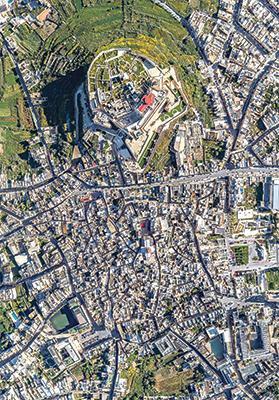 “For example, the Ministry for Gozo building (the old hospital) is on the outskirts of Rabat. To go to the Oratory of Don Bosco we would say ‘sejjer fuq it-Tomba’, or to go to the (new) Gozo Hospital we would say ‘sejjer Għajn Qatet’. Obviously, Gozitans from other villages still say they are going to Rabat, yet most of the younger generations say that they are going to Victoria. Historical information derived from the book Victoria, A Portrait of a City written by Dr Joseph Bezzina, edited by Charles Cini SDB and published by the Victoria local council. 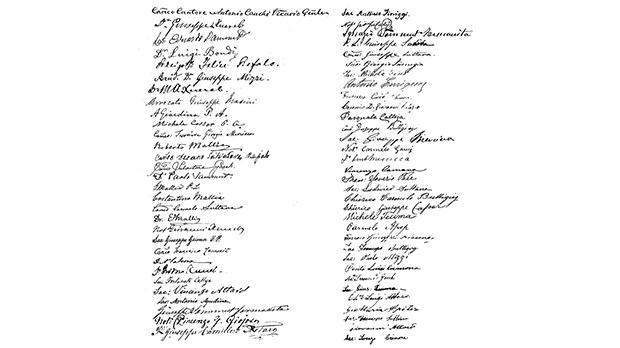 The 68 signatures on the petition sent to Queen Victoria on March 19, 1887.